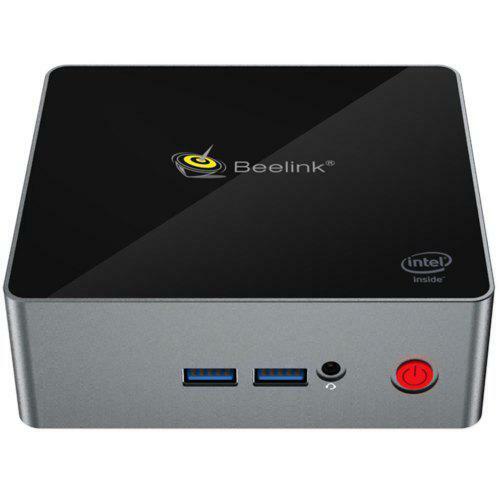 CHUWI GBox Mini PC comes with Intel Gemini Lake N4100 4GB DDR4 + 64GB ROM Support Win10 802.11 a/b/g/n/ac 1000Mbps Extended HDD + SSD HDMI 2.0. It has a remote controller also. 64GB and remote controller feature this new modelm which can beat most similar models of mini PCs in the market. Check for more. 4GB RAM + 64GB ROM enables users to enjoy unhindered multi-tasks easily. It comes with 2.4G + 5.8G dual-band Wi-Fi, which means high speed for downloading and everything. Please note that CHUWI GBox has same housing as this KODLIX Mini PC which Comes include Celeron N4000/N4100 we talked before; this mode is said to have a max. RAM as big as 16GB. We find more and more Mini PCs have common in hardware: 4GB RAM, SATS HDD supported, SSD, VESA mounting plate, Windows 10 OS, dual WiFi, BT, USB 3.0 and more. So, brand popularity and product design are the most important factors when people choose a Mini PC. ACEPC AK1 is a good case that has won a considerable market share with its similar design to HP Elite Slice. OK, we talk back to CHUWI GBox Mini PC; what is most intersting for us is that it has a remote controller in its box. Actually that is a not a normal remote controller, and it is an air mouse. You don’t need to come to front of TV to control the PC, and you can do this via the air mouse. This is very similar to using a TV Box with air mouse, with much more convience. A big like for this! Check for price and more.